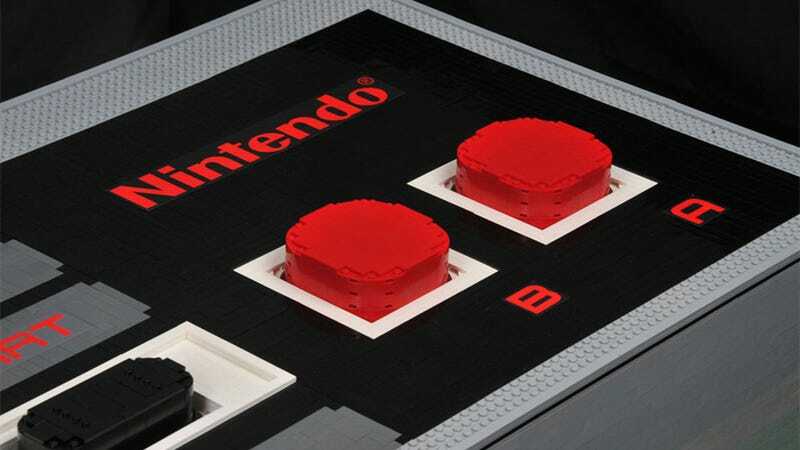 Giant Five-Foot NES Controller Is Made Out Of LEGO. And Actually Works. LEGO builder Baron von Brunk, who you may have seen here from time to time, is back with something a bit bigger. A little more ambitious. The NES Zapper Becomes a Transformer. A Bright, Orange Megatron. He's built this enormous five-foot LEGO NES controller. Which works. I don't know what to be more impressed by, the build itself or the fact he owned enough grey and black pieces to put it together in the first place.